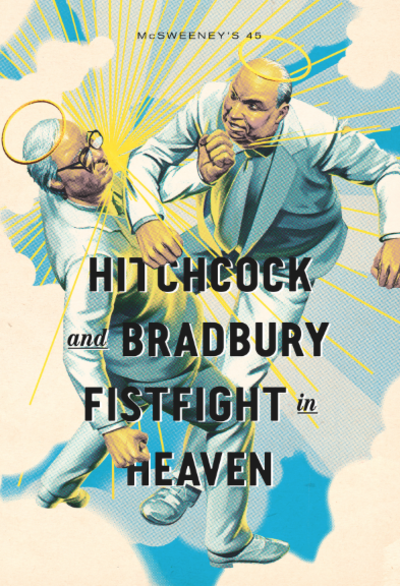 And with a “knockout” cover like this it’s hard to begrudge McSweeney’s $24 asking price. I’m not convinced that heaven is the place for Alfred Hitchcock. Could he be comfortable in a place without a minimum standard of creepiness? The title seems to be a play on Sherman Alexie’s short story collection, The Lone Ranger and Tonto Fistfight in Heaven.